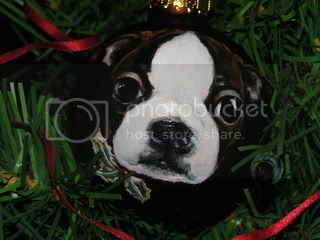 This is another of the hand oil painted Christmas balls I did for my new etsy store. The ball is dark red but I couldn't get a good photo of it to save my life! It looks black. So much prettier in real life.